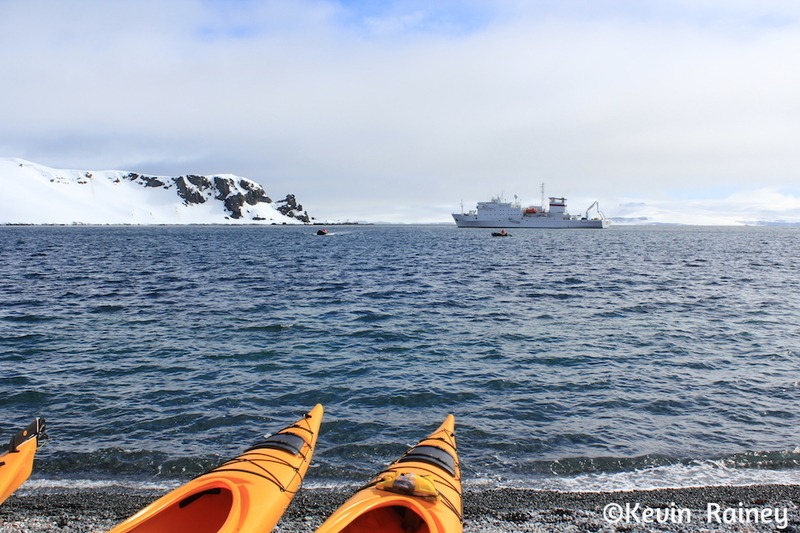 It’s sad that today is our last full day in Antarctica, but we are looking forward to going out with a bang with some world-class paddling. After breakfast, we woke up outside Half Moon Island. I decided to go kayaking, but my brother was a little tired and decided not to paddle this morning. Due to stronflg currents in the bay, we launched our kayaks from the island. The weather this morning was outstanding – our bluest skies of the trip. 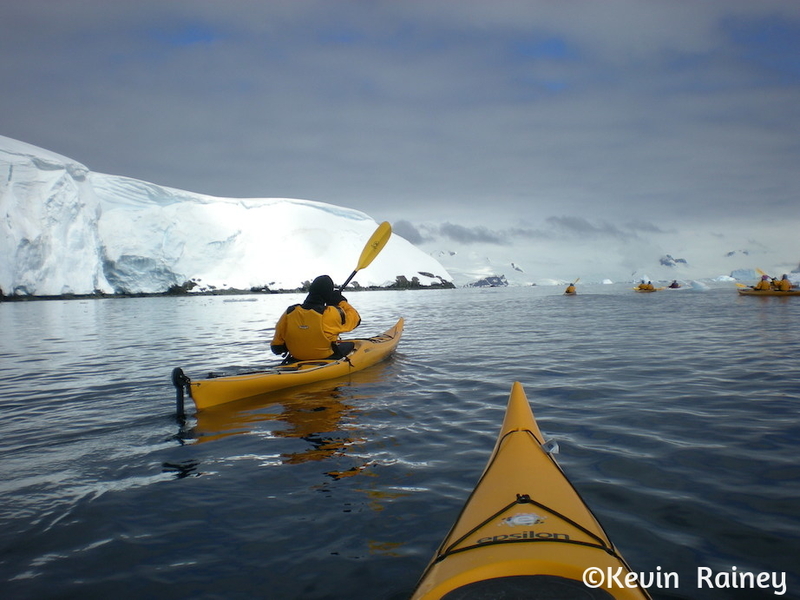 We enjoyed the warmer weather and our kayak guides Jimmy and Ian were keen to kayak around the entire island. 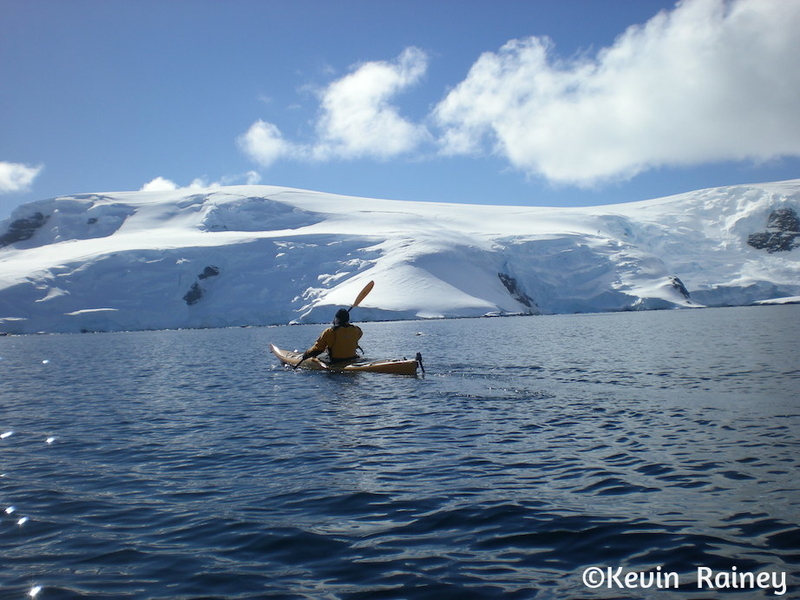 We made good progress and time as kayaked at a good cadence around the island. But after we rounded a corner and turned north, the wind really started to pick up. An older but adventurous Aussie couple simply couldn’t keep up with the pace. Therefore we decided to return back to our entry beach. Half Moon Island is a beautiful but small island near the larger Livingston Island. We paddled past Argentina’s Cámara Base, a tiny naval station operated occasionally during the summer. We also saw a colony of south polar skuas and Antarctic terns. 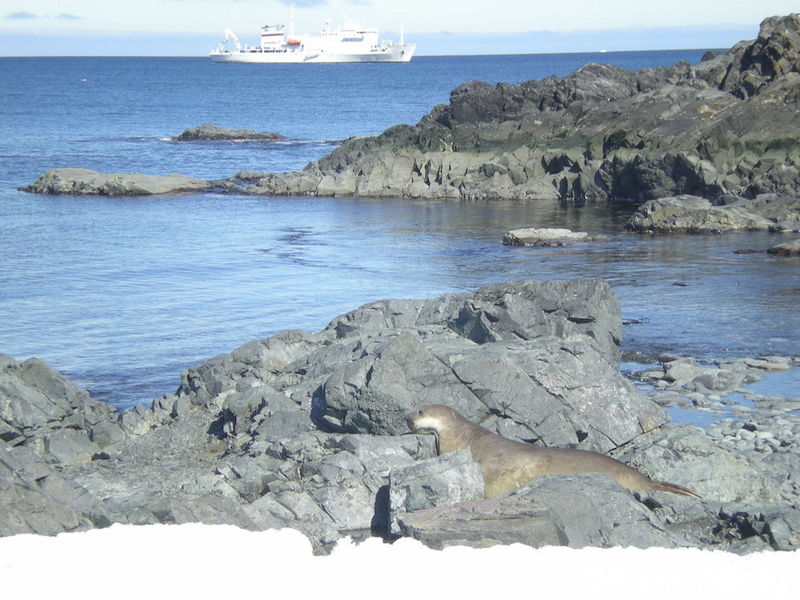 I saw my brother and some of the other visitors on shore hiking a trail to visit wildlife and see the surrounding mountains on nearby Livingston and Greenwich Islands. They almost look like ants in the distance. It’s so warm, my brother sheds the full balaclava! 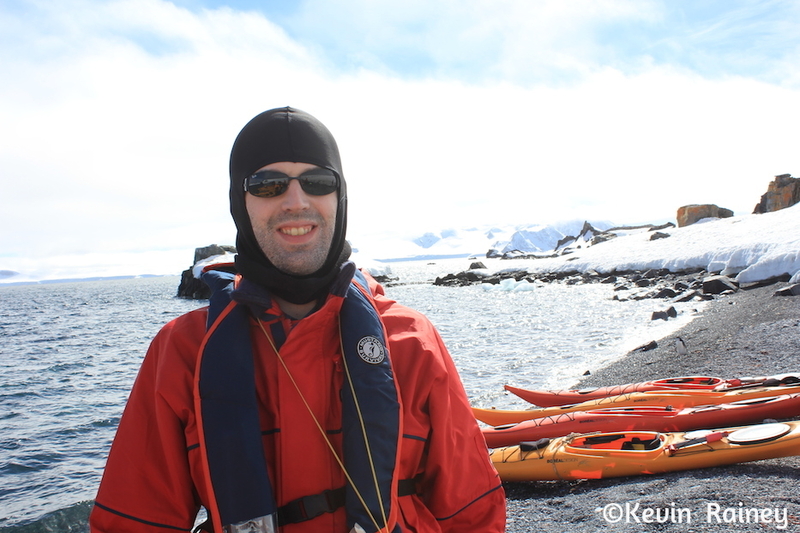 Upon our return to the beach at Half Moon Island, we saw the chinstrap penguin colony and some fur seals. After we left Half Moon Island, we ate lunch as we sailed to Robert Point on Robert Island. 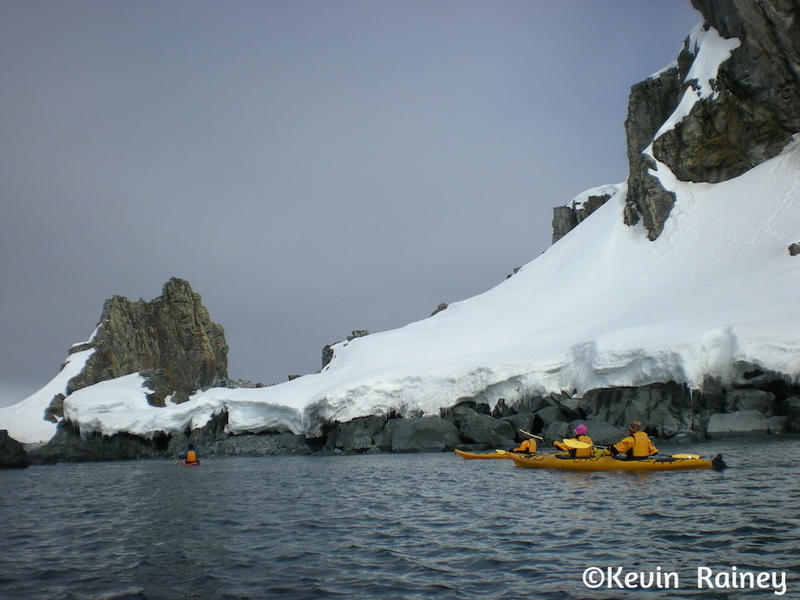 Robert Point is a rocky point at the end of a small peninsula projecting about 1.5 miles into the Bransfield Strait from the southeast coast of Robert Island. My brother and I kayaked for the last time of the trip. We launched from the beach at Robert Point and the weather was beautiful as the sun came out. 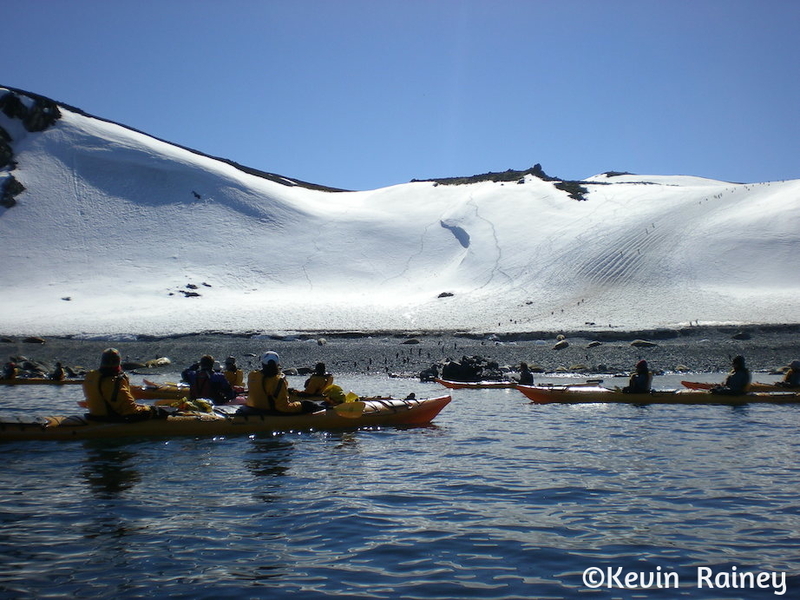 We paddled by several elephant seals that were patrolling and dining on a beach. 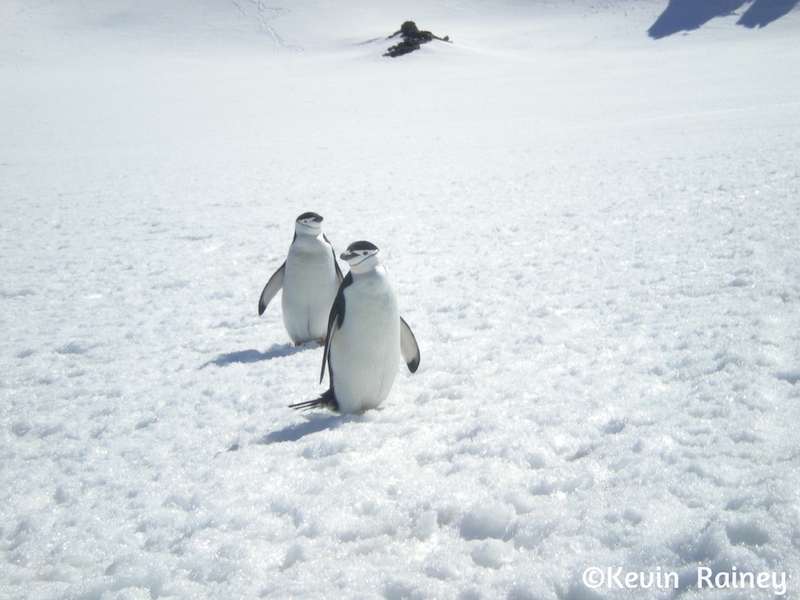 Then we passed a penguin highway, a crossing of penguins from a snow-covered hill where they marched to the water below where they fed. At our turnaround spot, we saw massive ice sheets in the distance basked in the bright light of the sun. Coming back to the beach we survived our biggest waves of the trip. 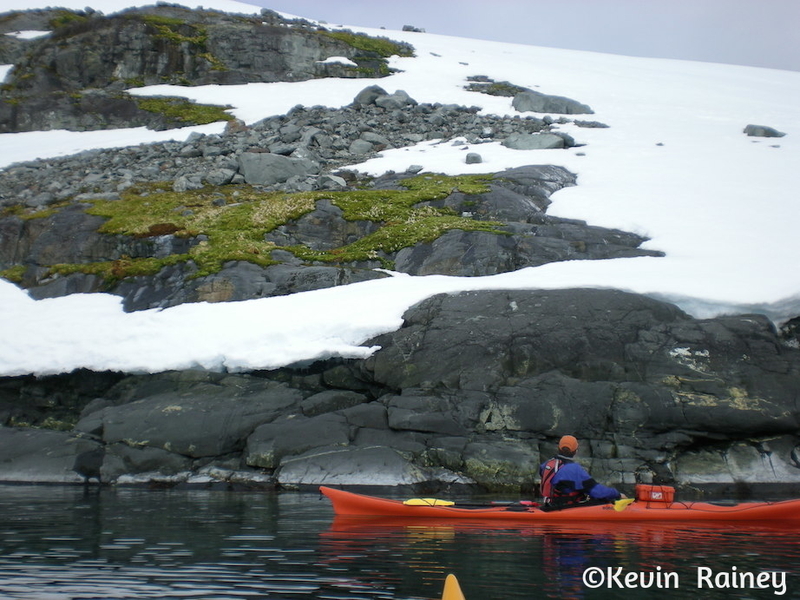 They were two- to four-foot waves pushing us as we passed through rocky inlets. My brother even surfed a rogue wave that came at him from behind. Everyone couldn’t believe how technical my brother was as he exited a five-foot wave without even capsizing. 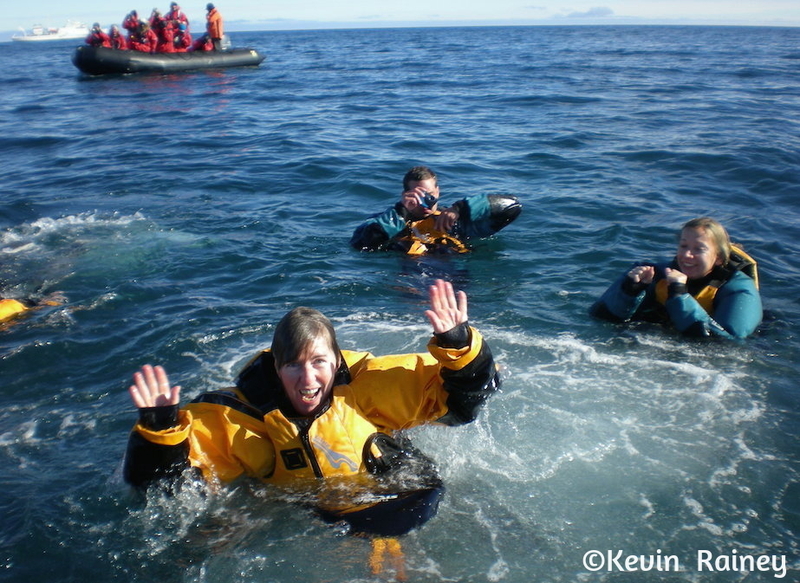 To celebrate the end of our kayaking, just about everyone jumped out of the zodiak in their dry suits for a swim to celebrate the end of our paddling adventures. We were sad to say goodbye to Antarctica. 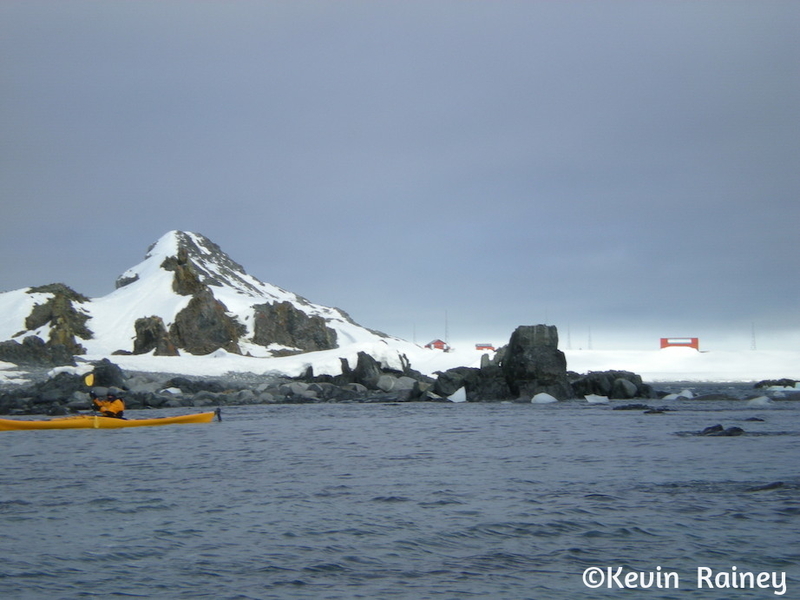 For some time, I have been fascinated with the history of exploration in Antarctica. Many years ago, I had seen the BBC movie starring Kenneth Branagh as British explorer Ernest Shackleton. 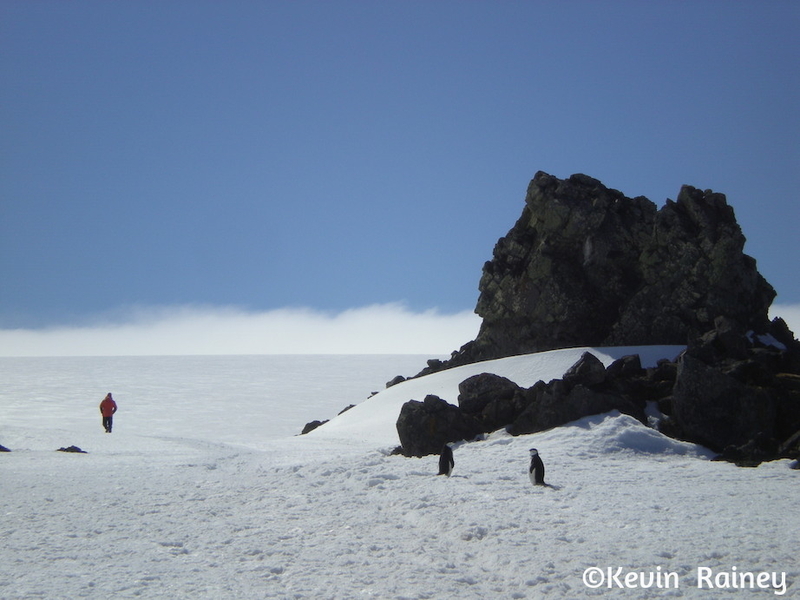 I have been fascinated by Antarctica ever since. 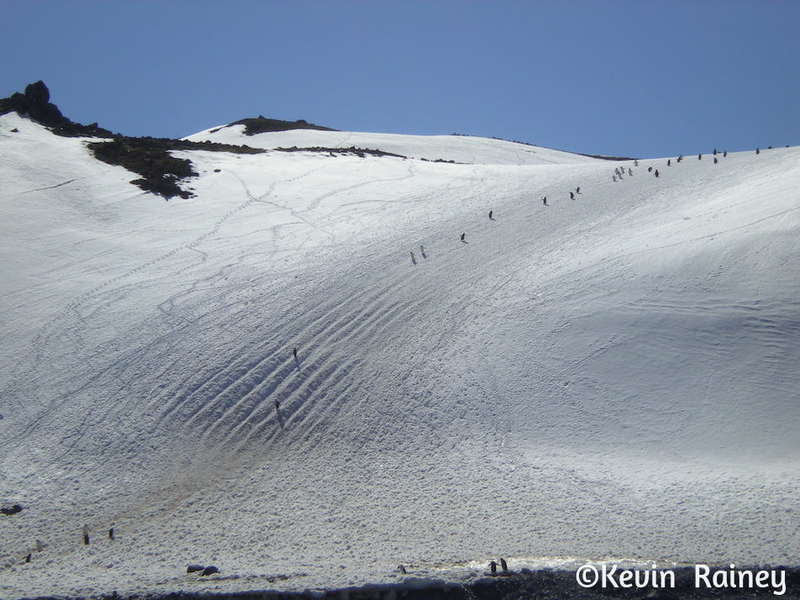 If you are not familiar with the British Explorer Shackleton, he was one of the great explorers of the 20th century. His ship, the Endurance, became trapped in pack ice in January 1915 and was slowly crushed by November of that year. He and the crew escaped by camping on the sea ice until it disintegrated, then launched their lifeboats in April 1916 our a five-day journey to reach Elephant Island. After repairing their best lifeboat, Shackleton left most of his men on the uninhabited island for what seemed like a death journey to reach help. He and five men set sail in their open lifeboat on a stormy ocean voyage of 720 nautical miles! They miraculously landed at King Haakon Bay on South Georgia’s south coast almost two weeks later. They were exhausted, but Shackleton then left with two of the men on a desperate 22-mile journey over a mountain range to reach Stromness whaling station in Grytviken. They made and then sailed back to rescue all the rest of his crew. It’s one of the great survival stories of polar exploration. Besides Shackleton, the history of Antarctica is extremely fascinating. British Captain James Cook first crossed the Antarctic Circle and circumnavigated Antarctica. 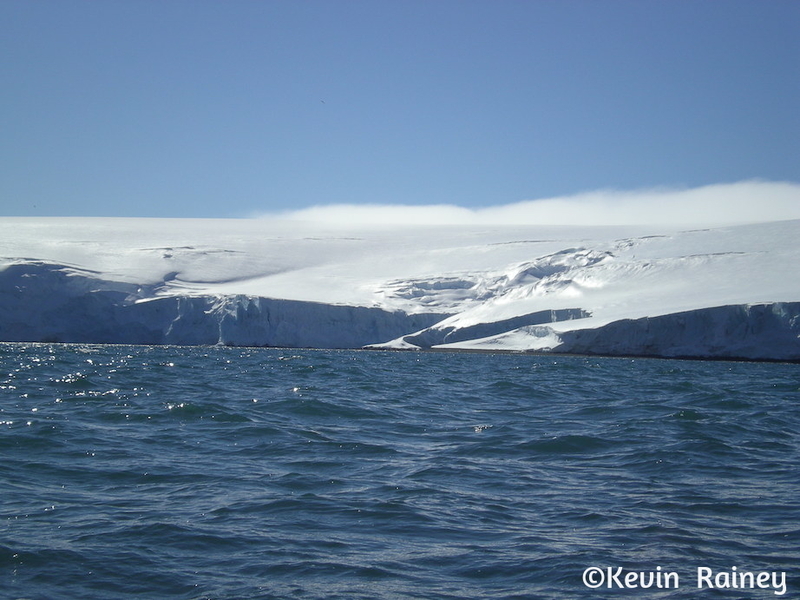 Britain’s John Davis and crew were probably the first to set foot on Antarctica in 1821. But it wasn’t until 1911 that Norway’s Roald Amundsen first reached the South Pole. After our history talk, my brother and I then went back to our cabin completely fulfilled with our journey to Antarctica. Now it was time for the three-day crossing back to Argentina!